ItemBARK_1980.0112.0166 - Unidentified Chinese boy riding a tricycle; circa 1920. 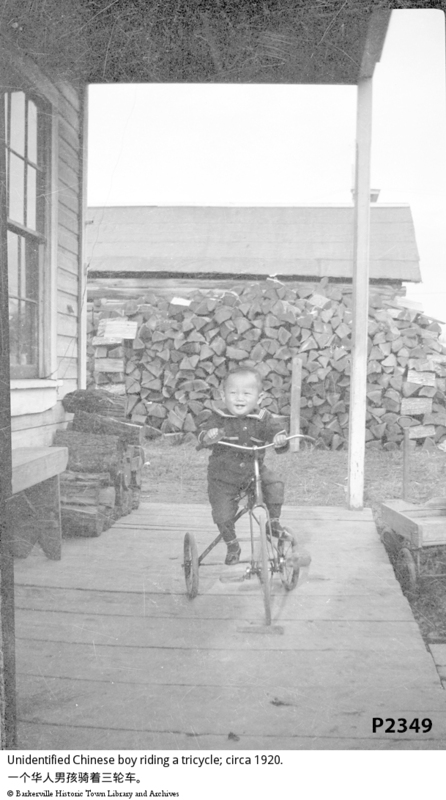 Item BARK_1980.0112.0166 - Unidentified Chinese boy riding a tricycle; circa 1920. A black and white film negative. The artifact depicts and image of a child riding a tricycle on a wooden porch of a wooden building. In the background there is a pile of split wood and a second building.